The right company for your apartment building project. Multi-family residential buildings most commonly seen as apartments offer challenges unlike other construction projects. The architectural design process is detailed and complex. Construction demands careful planning and continuous oversight. HVAC and electrical wiring needs are unique. So is providing for basic needs such as water, garbage, and waste disposal. The permit process can be equally challenging, as municipalities vary in their requirements. Such projects demand a construction partner with the right experience and insights to foresee problems and plan properly. Don Coulson, owner of DAC Concepts & Construction and lifelong a native of Ft. Worth, has been building multi-family dwellings for nearly four decades. Whether the project is a 4 unit building or a 50+ unit complex, we are prepared to help you with the design and construction of your multi-family / apartment building project. Proper planning and oversight of construction projects of this magnitude are crucial at every step of the way. 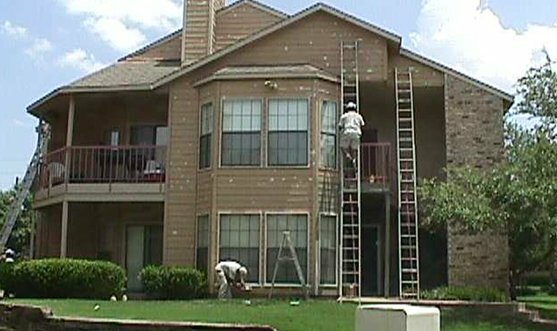 It’s important to have a superintendent and team that know how to work together and properly manage the construction of apartment buildings and other projects in Fort Worth, Texas. The reason: because Fort Worth has a few different types of soil, the weather varies drastically with hot to cold, humid to dry, and varying types of precipitation. Knowing how these factors apply to the construction laws and requirements, and planning the development based on accurate predictions can greatly determine the effectiveness of the builders as well as the cost. At DAC Concepts & Construction, we have spent the better part of 45 years mastering the building process here in the Fort Worth area. If you want a guarantee that you’re getting quality work done at a reasonable price, then schedule a consultation with us for free by calling (817) 738-3333 today!